Got up and walked Mix before breakfast and then went across to the Barn and started sawing floorboards into size for the ramp which we completed today (yes, I have progressed to being allowed to operate a saw)! 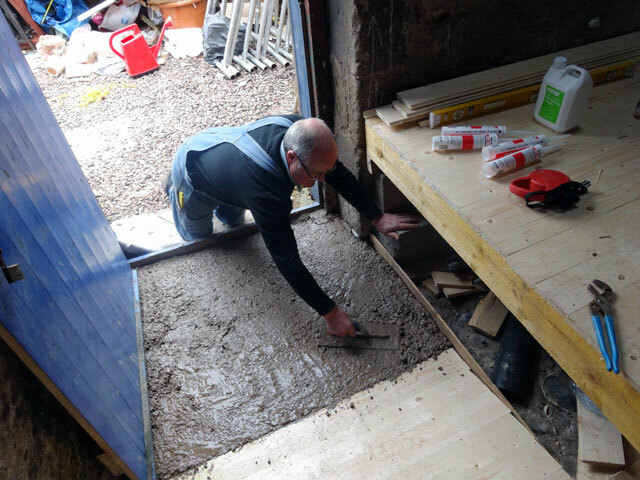 Tom arrived and we quickly completed the ramp after a quick visit to Pearsons to buy some more plumbing materials as well as the sand, cement and gravel for concreting the base of the ramp and some beading to complete the floor (instead of a skirting board). With the ramp complete, Tom went off for lunch and I enjoyed a pizza. 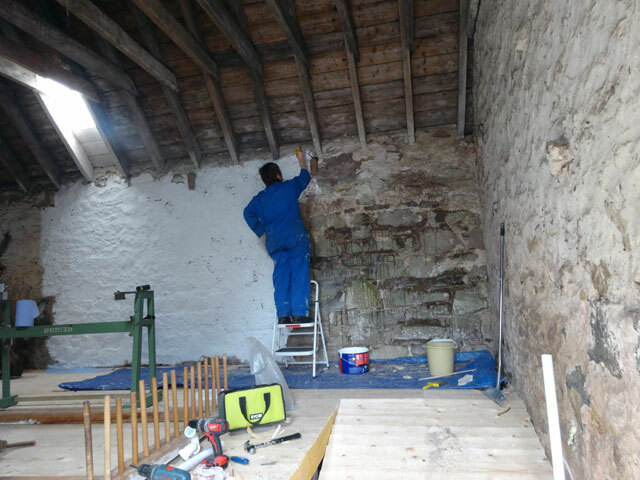 Rachel had spent the morning starting to paint the Barn, Digger was working in his allotment, Olive had two students to prepare for an accountancy examination and Mum was doing a washing. In the afternoon Tom and I concreted the base of the ramp. 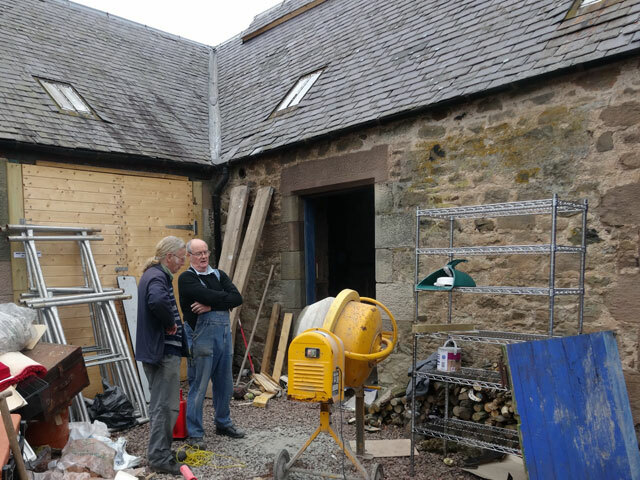 I was surprised at just how much concrete we required for a relatively small task. Once this was completed, Tom went off home – it was a bank holiday after all. I retired to the summer house to do some other work and then I walked Mix before having a shower before supper. After we had eaten we watched another episode of Inspector De Luca set in Italy in the final days of the second world war. I enjoyed it but Rachel found it hard to stay awake. Walked Mix and went to bed. Yet another really good day.